Experience Lariat luxury in this 2005 Ford F-250SD Lariat Crew Cab 4x4 with Heated Leather Seats, Power Moon Roof, Keyless Entry, Fog Lamps, and Mighty Diesel Engine! Lariats come with automatic air conditioning, an overhead console, leather seats with six-way power, and aluminum wheels. Ford bestowed on the 2004 F-150 much of the brawny, no-nonsense look we liked about the previous generation of the company's F-250 and F-350 pickups. This meant the 2005 Super Duty line had to have its own spruced up, new look. It also had to have strong, in-your-face styling cues that make clear it's no lightweight, but a true do-anything, go-anywhere workhorse, all while keeping faith with the Ford truck family look. This vehicle passed our 110 multi-point inspection and is backed by our National Quality Dealer of the Year Award. We are an ''A+'' Better Business Bureau Rated Business. We offer low interest rate financing, low down payments and the highest trade allowances in the state! Here at McCloskey we do things a bit differently, we shop our competition every day to ensure a great value to you. Come on down and experience it for yourself. 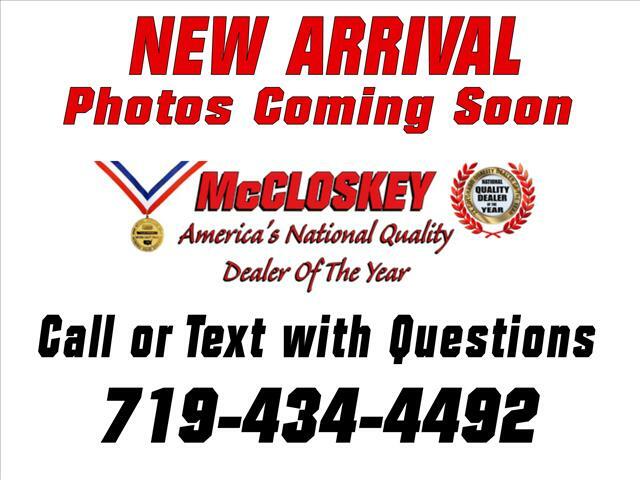 This McCloskey Assured vehicle includes a Vehicle History Report!! At McCloskey we strive to provide ASSURANCE, TRUST, VALUE AND QUALITY! Call 719-434-4492.